Results for - Plot Twist! 1. Director M. Night Shyamalan has made a career in movies with a "twist". 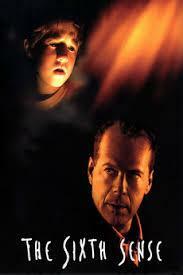 His best known movie, The Sixth Sense appears on every single list of "Movies with Plot Twists", usually at the top. Which of his movies have you seen? 2. (Slight spoiler alert -- just check off last answer if you don't want any spoilers) With his new movie "Glass" premiering in theaters this Friday, Shyamalan delivers a plot twist almost ten years in the making. His hit "Unbreakable" with Bruce Willis and Samuel L Jackson, released in 2000, introduced the characters of David Dunn and Mr. Glass, was a huge success, and left movie audiences definitely wanting more. It also took a new direction for Shyamalan -- into the world of superheroes. In his 2016 horror film, Split, we were introduced to the character of Kevin Wendell Crumb / The Horde: a sufferer of dissociative identity disorder (DID), who has 23 prominent personalities. Without giving anything away, at the end of this movie, we briefly see an "Unbreakable" character -- and here's where the movies collide. 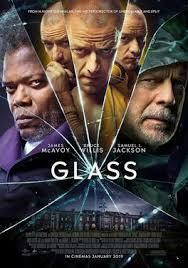 Finally, in a sequel almost ten years in the making, and with a welcomed and interesting plot twist, his new movie "Glass" brings together his three characters, in what looks to be one of the best movies he has ever crafted. Are you anxiously awaiting this movie opening? 3. Personally I love a good plot twist -- the kind you don't see coming. 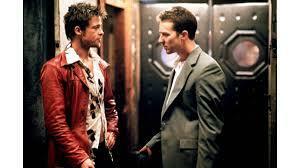 According to Harper's Bazaar, here are the top twenty movies with surprise plot twists. Which on this list have you seen?